Only the Oaks Remain: The Story of Tuna Canyon Detention Station tells the true stories of those targeted as dangerous enemy aliens and imprisoned in the Tuna Canyon Detention Station, located in the Tujunga neighborhood of Los Angeles, by the US Department of Justice during World War II. Photographs, letters, and diaries bring the experiences of prisoners—who included Japanese, German, and Italian immigrants and Japanese Peruvians—to life. During the decade before World War II, the US government compiled lists of people seen as potential risks to national security. When the war began, Presidential Proclamations 2525, 2526, and 2527 authorized the FBI and other agencies to arrest such individuals—mostly spiritual, educational, business, and community leaders from the Japanese, German, and Italian immigrant communities. The government also rounded up Japanese and other individuals who had previously been forcibly removed from Latin America. Following the bombing of Pearl Harbor on December 7, 1941, the US Department of Justice took over a vacated Civilian Conservation Corps camp in the Tujunga neighborhood of Los Angeles and converted it into a detention station by installing twelve-foot-high barbed wire fences, guard posts, and flood lights. 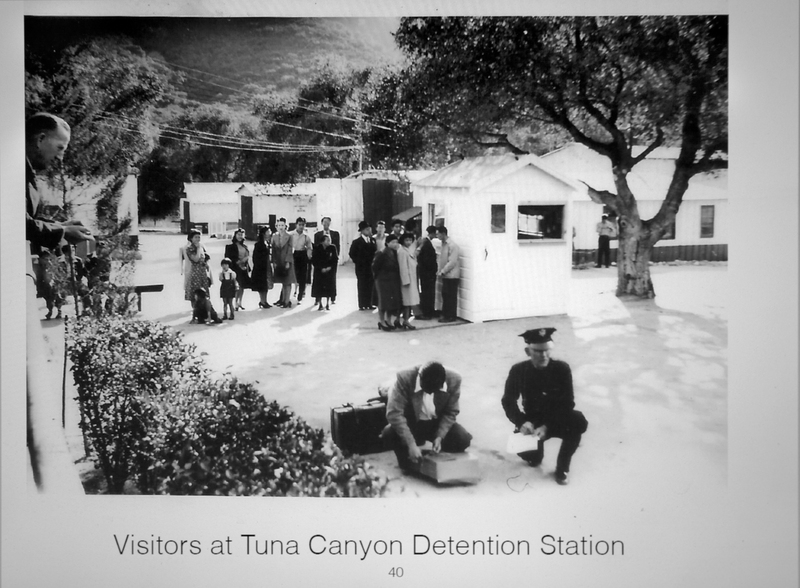 The Tuna Canyon Detention Station became one of many initial confinement sites set up by the government. Targeted individuals were quickly arrested in their homes, leaving behind confused and frightened families; most detainees were later sent to Department of Justice or Army internment camps. Only the Oaks Remain commemorates the history of the Tuna Canyon Detention Station and seeks to educate the public about the violation of civil rights that took place there.